What is a Saturn Smart Inverter? 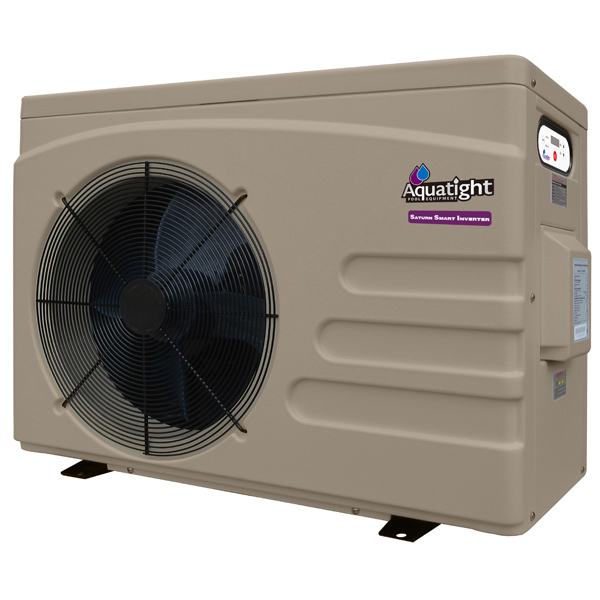 Saturn Smart Inverter is the latest pool heat pump technology powered by a Smart Inverter compressor and fan motor. It can adjust heating capacity from 25% to 100% intelligently and automatically according to different heating demands. When temperatures are cooler and heating demand is higher, the Saturn Smart Inverter will run with 100% compressor and fan speeds for fast heating. During most of the season when maintaining pool temperature, the Saturn Smart Inverter will run at lower speeds with a much higher and superior COP (Coefficient of Performance). This will deliver significant savings in power consumption and running costs. Saturn Smart Inverter highest COP is 12 at Air 26°C/Water 26°C/Humidity 80%, which means 1kW of electricity consumption can provide you up to 12kW heat in return. Standard on/off heat pumps can only provide around 5kW of heat as it can only deliver a much lower COP. Thanks to a super quiet DC Smart Inverter compressor, special low-speed running philosophy of the compressor and fan motor, Saturn Smart Inverter can offer you super quiet operation by around 7d(B)A lower sound levels compared to a standard on/off heat pump. Soft Start Technology is incorporated into Saturn Smart Inverter units. Normal heat pumps will create a large current draw on your electrical system at initial start- up which can sometimes overload your electrical system. Soft Start Technology is designed to slowly draw required current from 0 Amps to the full rated current over a 2 minute period in order to help prevent overload and triggering your safety RCD switch. Reverse cycle defrosting provides high efficient automatic defrosting in low temperatures. Screwed Titanium Heat Exchanger provides up to 50% more efficiency in performance.